Bo Xilai, one of China’s most prominent politicians, has been removed from his post as Chongqing’s Communist Party leader, state news agency Xinhua reports. Bo Xilai, 62, was a strong contender for promotion to China’s top rungs when the party changes its leadership later this year. However, a scandal erupted when his former chief of police Wang Lijun spent a day at a United States consulate last month. Vice-Premier Zhang Dejiang will replace Bo Xilai, said the Xinhua report. The move comes just a day after the end of the country’s annual parliamentary session, the National People’s Congress (NPC), where Bo Xilai’s absence from a meeting sparked speculations about his future. After a long silence, Bo Xilai spoke last week about the incident involving ex-police chief Wang Lijun, answering questions from journalists at a meeting on the sidelines of the NPC. Bo Xilai said he had not imagined Wang Lijun would run off. It came suddenly, he said. 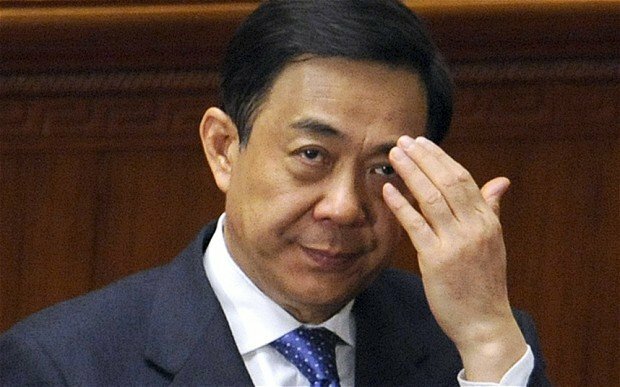 “I feel like I put my trust in the wrong person,” Bo Xilai added, speaking at a meeting of Chongqing delegates. Wang Lijun has also been sacked from his job as deputy mayor of Chongqing, said another Xinhua report following the earlier announcement on Bo Xilai’s removal. Wang Lijun’s visit to the US consulate in the city of Chengdu sparked rumors that he had intended to defect. State media reported that he was on vacation to recuperate from stress. Wang Lijun, who led the crackdown on organized crime in Chongqing that propelled both him and his boss into the limelight, was later placed under police investigation for the incident. Premier Wen Jiabao, answering a question at a news conference on Wednesday at the closing of the NPC session, said ”progress” had been made in the investigations, but did not reveal details. He said local authorities must ”seriously” reflect and learn from the incident and that Beijing regarded this ”very seriously”. Reactions to the brief announcement of Bo Xilai’s removal from his post in state media have been swift. The news spread quickly, prompting thousands of posts on the Sina Weibo microblogging site on Thursday morning. “Swift and thorough! The ultra-leftish stronghold has finally come to an end. It’s a big fortune for China, a big fortune for the people!” posted a writer for Xinhua.com, Wang Ruogu. “Bo Xilai might have his personal mistakes, what he has been pushing for might be problematic… but he has truly done a lot of great things for the people,” said another comment by a former journalist. Bo Xilai is the nearest thing China has to a Western-style politician, correspondents say. Like China’s leader-in-waiting Xi Jinping, Bo Xilai is the son of a famous communist hero, but he has gone on to forge his own unique public personality. Correspondents say the suave and charismatic Bo Xilai seems at home in front of the cameras and appears to enjoy pushing his policies in public. Bo Xilai ran the big coastal city of Dalian and then became commerce minister, before moving to the post in Chongqing, a sprawling city in western China.